County MSP Iain Gray has welcomed three groups of P7 pupils from Haddington (formerly King’s Meadow) Primary School to Holyrood over the past few weeks. The three classes of P7 pupils have all been learning about democracy this term and asked if Mr Gray would invite them to the Parliament as part of their studies. The MSP welcomed each of the groups to Holyrood, gave them a tour of the parliament building and then answered some of their questions about his work and topical political issues, including Brexit. Doing the tour with Mr Gray, rather than the official parliament tour, meant the pupils were able to see parts of the building not usually covered on a public tour, including his office and ‘think pod’. “School visits to Parliament are always popular and give local children the opportunity to explore our democracy and the way laws are made at Holyood. 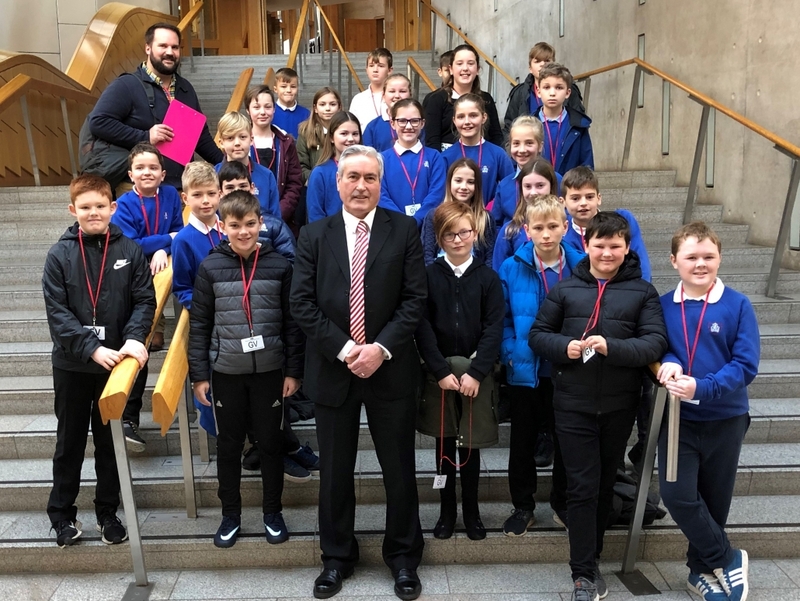 “While most visits are organised through the Parliament’s excellent Education Service, these visits by pupils from Haddington were a bit different because were arranged via my office. “I was very pleased to meet the three groups of pupils and give them my personalised tour of the Parliament building, including the Main Chamber where debates take place and my own parliamentary office.